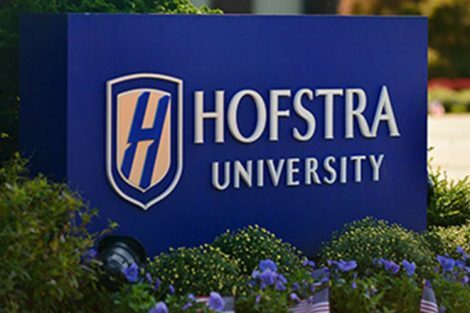 Students in two classes at the Frank G. Zarb School of Business earned up to $1,000 in prizes and got experience preparing and pitching marketing and management strategies to corporate executives as part of a case competition sponsored by GEICO insurance. 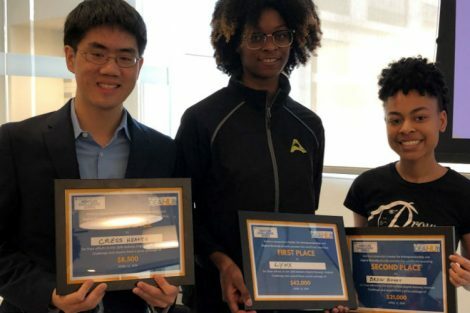 “The students dealt with real issues and provided valuable advice to the front line executives working to address these issues,” said Zarb School Dean Herman Berliner. 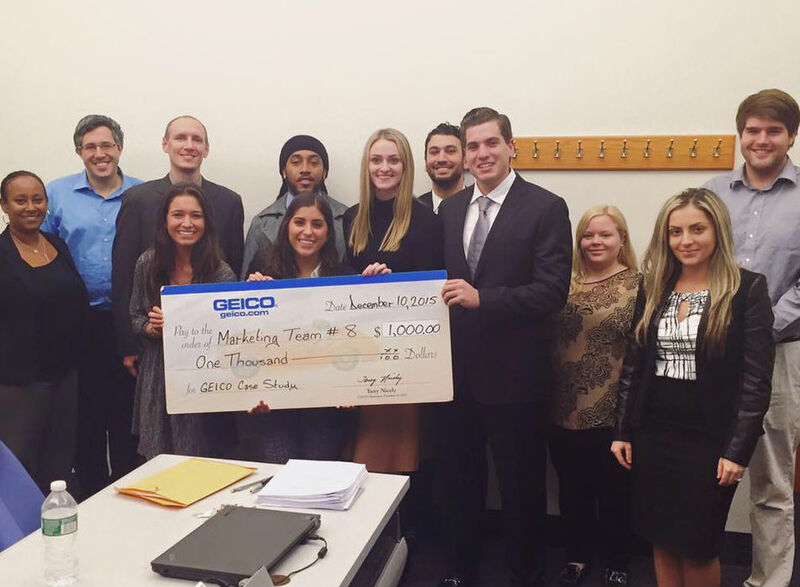 For the marketing case competition, student teams spent the fall semester researching and crafting proposals to help GEICO, which has historically done well in major cities, improve its share of the rural and suburban markets. The marketing class was taught by Dr. Veronika Ilyuk, PhD, assistant professor of Marketing and International Business. The student teams competing in the management case competition served as consultants charged with making recommendations to help GEICO improve its employment brand and recognition among millennial applicants. The management class was taught by Dr. Janet Lenaghan, PhD, associate professor in the Department of Management and Entrepreneurship. The first-place teams won $1,000, while the second-place teams won $500.